The Players Your Team Cannot Afford To Lose — The Mongrel Punt Become a Patron! We’ve all heard the horrible news about Carlton’s All-Australian defender, Sam Docherty rupturing his ACL recently. Though he has indicated he's hopeful of returning some time in the 2018 season, it's more than likely it'll be 2019 before we see him back on the field. It seems so far away. The injury has put a dampener on Carlton’s season months before it even starts, and in a lot of ways, the Blues have already been faced with a worst case scenario. There’s a long time to go, however, before the ball is bounced. No supporter worth their salt wishes injury on an opposition player, and I am quietly confident that readers of this article would want nothing but a complete recovery for Docherty, and no lingering effects to hamper him ongoing. After all, we're not savages. Football, and the off-season in particular, can be a cruel mistress. We’ve seen players and teams decimated by injury before even playing a game. Brad Ottens impaled himself on a garden stake in 2002 after falling from a tree whilst attempting to put up a hammock in his backyard. Seven years later, he didn’t quite top that effort, but did manage to chop his arm with a propeller of a motor boat. Dan Hannebery fractured his cheekbone when he tripped over a fence in 2009, and Stevie Johnson ruptured a tendon in his thumb whilst reaching into his bag to grab his phone just a couple of short years ago. These injuries are way out of the ordinary, but they prove that the unfortunate can, and has happened in the most unlikely of circumstances. While we’re not expecting anyone to be impaled this off season, we’re by no means ruling out injuries to key players before we bounce the ball in Round One. So which player can you least afford to lose to as you head into the 2018 AFL season? 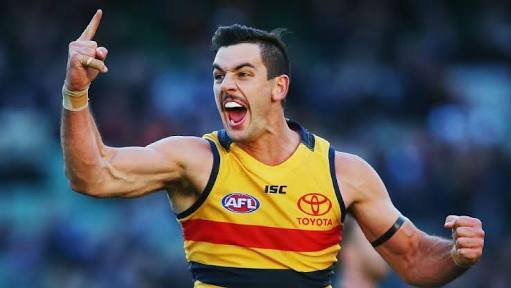 Like it or not, Taylor Walker is the Adelaide Crows at the moment. Yes, they're a very talented, deep team, and they can rely on a number of players to carry the load, but Big Tex straightens them up when they need it. He is vocal, and passionate about his club, and he wears his heart on his sleeve. Walker was criticised for his performance in the 2017 Grand Final, and his petulant attitude in the days following around the departure of Jake Lever, but as 2018 looms, he will be looking to right a few wrongs. Whilst players like Rory Sloane and the Crouch brothers are integral to the success of the Crows, they could cover each other if one went down hurt. Walker is the one true irreplaceable component of the Adelaide team. Losing him would change the entire forward structure of the Crows. Without him, they're not the genuine flag threat they are with him. The Lions have one of the three worst lists in the competition. Anything that effects one of their major players would be a disaster for the club. They’ve seen Rockliff wander off to Port Adelaide and that hurts their midfield grunt. Zorko has played far above the expectations of most since his debut in 2012, and is one of the best tacklers in the game with 7 per game to his name last season. This was on full display in the recent International Rules Series. Brisbane looks like a team that needs leaders. They’ve brought in Luke Hodge to help with that, but losing a guy like Zorko who leads by example, would see some heads drop around the club. Having already lost one of their brightest stars, and their only 2017 All-Australian, the only thing that could make matters worse for the Blues would be to see another of their young stars sit out. Cripps has developed beautifully since being drafted in 2013. His 25 disposals and 6 tackles per game are more than anyone on the Blues' list can cover, particularly with the loss of Bryce Gibbs placing additional strain on their midfield. Cripps will need to elevate his game even further to see the Blues move up the ladder. I doubt they could do it without him. The Pies have made some horrible recruiting decisions recently, but Howe is definitely not one of them. Whilst you may be distracted by his high marking, Howe was close to All-Australian selection last season, with his ability to read the play off half back repelling many attacks. The Pies have plenty of midfield grunt, but Howe adds a touch of class across half back that is sorely required at times. Able to swing forward if needed, Howe has the kind of versatility coaches love and could be a match winner in either attack or defence. I have a feeling Pies fans might need to take every chance they get to cheer in 2018. Howe in the stands would rob them of many potential highlights. Essendon’s road back to glory runs right through Joe Daniher. Conjuring images of a young Paul Salmon, Daniher notched a career-high 65 goals in 2017, and it could just be another step along the way for him. He has increased his number of goals every year since his debut and looks set to join the elite in 2018 if he hasn’t already. 80 goals is not out of the question for Joe in 2018, and the more optimistic amongst us may be thinking he could be the next player to kick a ton. You can’t help be excited about it if you’re a Bombers fan, but it all comes to a halt without the big guy. Whilst Nat Fyfe gets all the press, Neale has emerged as an absolute workhorse for the Dockers. Whilst I doubt that he’ll be one of their top two midfielders when they next contend for a premiership, right now Lachie Neale provides the kind of grunt the Fremantle team needs. His 13 contested possessions, and almost 7 clearances per game make Neale kind of Robin to Fyfe’s Batman-like actions. I don’t expect Neale to float across the front of a pack like Fyfe, but I do expect him to be front and centre to pick up the crumbs and do the kind of work that too often goes unsung. He has worked hard to get himself into the shape required to be a top tier midfielder in the modern game, and would leave an enormous hole in the Freo engine room if he went down. Whilst it’s hard to go past Dangerfield in terms of excitement, or Ablett in regards to nostalgia, it is Joel Selwood who bleeds for the Geelong Footy Club. Literally, most games. There has not been many leaders who have put their physical wellbeing on the line as often as Selwood does. Teammates cannot help be inspired by his consistent acts of courage; acts that make them walk a little taller. The current Geelong team without Selwood just doesn’t seem like Geelong. Looking to take it one step further in 2018, he is the kind of leader that can will a team into a contest when he needs to. They don’t grow on trees. The Suns were the only team in the competition to fail to have one player in the All-Australian squad of 40 last season. With 15 disposals and a couple of goals per game, Lynch was one of the few highlights for Gold Coast, but constant speculation about his future is weighing heavily on those involved in the club. Lynch is the catalyst for any Gold Coast revival. He has Melbourne clubs salivating at the prospect of a return south, but a solid season from him, and improvement from the Suns could see him opt to stay and be the focal point for Gold Coast as they climb the ladder. A season with signicficant time spent on the sidelines would almost certainly see him walk at season’s end. GWS are laden with talented stars. Kelly, Cameron, Patton… losing any one of them would be a kick in the guts to a club that's come so close to the Promised Land in recent years. All of those players are integral to the Giants’ success in 2018, but they lack that bit of aggression that Greene possesses. Not only does he possess it – he oozes it. Greene walks a very fine line at times between what’s acceptable and what’s not. His kick to the face of Luke Dahlhaus almost made him public enemy number one. It was a role he embraced. Every team needs someone that can change a game without being involved in the direct play. The aggression of Toby Greene can do that for the Giants. He adds something to their team that no one else does. He adds the edge. 2018 is the make or break season for O’Meara. He either fulfills his potential, or becomes another story of what could’ve been. If healthy, O’Meara is a special talent. In one of his six games in 2017, he amassed 30 handballs. That is good for equal fifth-best of all time. That is the sort of talent we’re talking about with O’Meara. If he gets his body right, it will be a huge boon for Hawthorn as they attemot to fast-track their rebuild. If not, it will be an opportunity lost for both player and club. It will also be a shame for the entire competition to see such potential dragged down by injury. After all the kerfuffle around him leaving Adelaide, losing Lever would be a disaster for the Dees. They’re building – you can feel it. Sure they might’ve went a little early with celebrations around making it to the finals last season, but unlike Carlton in 2009, we actually do know Melbourne are coming. Lever is the key defender that is supposed to elevate them into contention with his rebound and 9.5 intercept possessions per game. 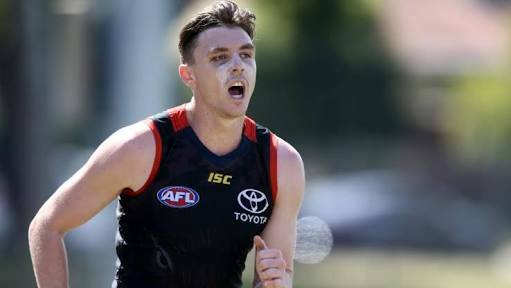 To have him on the sidelines would be a huge blow to the Demons, particularly when so much is expected. This was actually quite difficult, as I don’t think any one player missing will impact North Melbourne too much in 2018. Luke Davies-Uniacke almost stole this spot, as he represents hope for the Kangaroos and will be pivotal to their midfield as time goes on. This coming season, Robbie Tarrant is expected to carry a huge load down back. North will spend a lot of time defending, and key to that defence will be Tarrant. He will be vitally important in stemming the tide of attack from the opposition. Without him, the floodgates might open. Port has been inundated with new talent this off-season, but Wines remains one of their most valuable assets. His 27 disposals per game in 2017 were a career high, and he has a touch of Dusty Martin about him. He is a hard man to tackle, wins a heap of contested ball and is vitally important to Port’s midfield. The Power now has the depth to cover the loss of Wines, but you’d be robbing your forward line of a player like Wingard to do so. Wines in the middle is as valuable as they come. Having a player capable of cancelling out your opposition’s greatest offensive threat is a weapon few clubs possess, and the unique nature of Rance’s game was rewarded with All-Australian captaincy in 2017. 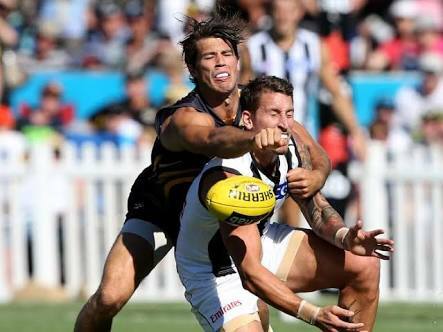 Very rarely beaten one-on-one, Rance’s defensive prowess plugs a lot of holes for the Tigers. Reliable, consistent and hard to shift if he doesn’t want to move, Rance is just as important to Richmond’s success as Martin or Cotchin. Rance, however, is a little harder to cover. Pick a Jack; any Jack. Billings it is. The #3 pick from the 2013 draft continued to make significant strides in 2017, with career highs in both disposals (23.1 per game) and goals (23 for the season). He is emerging as the player any club hopes for with an early draft pick, and has shown flashes of brilliance, including topping 30 touches in a game 4 times in 2017. Billings is poised to take the next step in 2018. The other player St Kilda would hate to lose is Paddy McCartin. Already reduced to restricted duties in the pre-season due to a foot injury, the replacement for club legend, Nick Riewoldt needs to get on the park and stay there this season. Surrounded by stars in Sydney, Heeney became a star himself in 2017. In just his third season, the young swan averaged over 20 touches per game and showed the kind of skill and flair that would make Sydney fans feel very positive about the future as well as the present. Heeney’s attack on the ball and the body was exemplified in the Swans’ Round 18 when he nailed St Kilda’s Jarryn Geary with a bone crunching tackle on the boundary line. In a team boasting some of the best players in the game in Kennedy and Franklin, Heeny is just too good to lose. There is simply no better intercept mark in the competition than Jeremy McGovern. He was at his absolute best in the do-or-die elimination final against Port Adelaide in 2017. McGovern dragged in 15 marks off half back to go along with 25 disposals. McGovern’s reign in the air played no small part in the Eagles’ victory that day, and he will play a big part in many more. He provides the springboard out of defence that is so valuable in the modern game, and allows other Eagles defenders to walk a little taller, knowing that if they're caught in what is seemingly a one-out contest, McGovern won't be too far away to lend a hand. 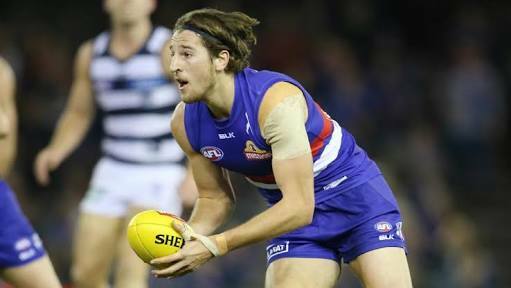 Though the Bont’s numbers fell away slightly in 2017, he remains the key to the Bulldogs returning to premiership form. Capable of doing the amazing, a season where the Bullies didn’t live up to expectations should fuel the Bulldogs’ star to new heights in 2018. Having lost the mercurial Jake Stringer, a strong message has been sent to the Bulldogs list – shape up or ship out. Bont is one who will shape up, and the club will follow suit. The Bulldogs need their best player leading from the front. their resurgence in 2018 leans heavily on their young star. He has to come into Round one in perfect nick. Think differently? You can always hit us up on Twitter @themongrelpunt or find the Mongrel Punt on Facebook. Older PostThe Next Big Thing. Is Joe Daniher the next great forward?